Second Time Around — Support for Common-Sense Gun Control Legislation by Tredyffrin Township Board of Supervisors? In light of the devastating tragedy at Marjory Stoneman Douglas High School in Parkland, Florida, we are all concerned about the level of gun violence in our nation. But as Tredyffrin Township Supervisor Matt Holt learned at last month’s Board of Supervisors meeting, the support for common sense gun control legislation is challenging. At the February 20th meeting, Holt presented a motion for a township resolution to support legislation sensible gun control laws. Without receiving a ‘second’ from any of his fellow supervisors, Holt’s motion failed. To the credit of audience members attending the Board of Supervisors meeting, there was an unwillingness to let Holt’s motion fail without discussion. As a result of the demand for public input, Supervisor Murph Wysocki presented a new motion, seconded by Supervisor Sean Moir stating that the supervisors would work together on a new resolution to support legislation for common sense gun control laws for presentation at the next Board of Supervisors meeting on March 19. The proposed resolution to support sensible gun control law legislation is included on the agenda for tonight’s Board of Supervisors meeting — the public is encouraged to attend and offer their input. Here’s hoping that the second time around that the ‘new’ resolution, to support common sense gun control legislation, receives unanimous support from the Tredyffrin Township Board of Supervisors. Update: After discussion and many comments from audience members, I am pleased to report that the resolution supporting common sense gun control legislature passed unanimously 7-0 at tonight’s Board of Supervisors meeting. I plan to be there tonight. I’m hoping a large crowd of fellow citizens join me in support of this important resolution! Perhaps the other supervisors recognized the original resolution as nothing but show-boating. Akin to the Board of Supervisors expressing their solidarity with whales or the Uighurs of western China. 100% feel-good; 0% difference. And that assumes the supervisors are even confident they would be reflecting the views of the majority of their electors (including the silent) as they go on record grandstanding on their behalf. As the resolution itself tacitly acknowledges, with Pennsylvania’s firearms preemption statute, folks on both sides of the debate need to be concentrating their time and energies on Harrisburg or DC. Where our local government needs to be spending its limited debate time and our money, is on making schools physically secure. I seem to recall a particular school district getting quite excited about fence building a couple of years ago and I think the electorate will appreciate a similarly practical focus and zeal on this issue. I remember most people laughing at the fence. It’s a joke. Actually, getting support for sensible gun control is not hard in Tredyffrin. Matt Holt’s my way or the highway approach made it much harder than it had to be. I gained quite a bit of respect for Murph Wysocki and Kevin O’Nell in taking the deliberative, methodical approach. Same goes for Heather Greenberg in handling the situation. Holt showed that he either does not understand how to play well with others or doesn’t understand the office he actually ran for. It is beyond rare for a township supervisor to make a motion and not have it seconded. Same goes for the school board. The fact that Holt ran into that shows that he is not effective and is in it not to make Tredyffrin better, but for trying to score political points. It is a shame that this blog post and one prior seems to be giving him not only the platform, but the narrative to do so. I want to thank the other six supervisors for their deliberative, methodical, non-partisian approach to handling the township’s issues. Please continue to do so. I think you are mistaken — I do not recall Kevin O’Nell commenting one way or the other on Mr. Holt’s resolution. For the record, I do not believe that Mr. Holt was trying to “score political points” with his resolution supporting common sense gun control legislation. Immediately following the Parkland, FL shooting, other municipalities have approved resolutions supporting sensible gun legislation, including Downingtown and Kennet Square. On March 12, the agenda for Willistown Township included the proposal of a similar resolution to support common sense gun legislation. I applaud Mr. Holt’s independent thinking — when I cast my vote on Election Day, it is a vote for an individual, not a vote for ‘group think’. Based on the reaction at the February Board of Supervisors meeting, many in the audience supported Mr. Holt’s efforts. Were it not for the pushback from the audience for public discussion, on the issue, would there even be a motion on the agenda tonight? I was at the February board meeting and was one of many who wanted to offer my comment on the resolution. After Matt Holt presented his motion and it received no second, it looked like the matter would just be dismissed by the chair. It really was because of the audience that the decision was made to have further discussion with the supervisors. I am not mistaken. O’Nell didn’t comment. Nor did many of the other deliberative, methodical supervisors. That was the brave approach. It takes tremendous courage to remain silent during grandstanding that is currently popular. I disagree and think that Holt was completely trying to “score political points”. At least if he was, he was effective at that. If he wasn’t, that is worse, because that means that he is completely out of his depth. He does not have independent thinking. Quite the opposite. He has mass hysteria, impulse driven, crowd type tendencies. If he was actually an intellectual thinker, he was have bothered to work with his colleagues. Many in the audience did support Mr. Holt’s efforts. Of course, that was the mass hysteria, impulse driven crowd I was referring to above. Yes, there would have been a motion on the agenda tonight without the grandstanding by Holt. That should be obvious to anyone who watched the dialog. All that was being asked was to give a little bit of time for intelligent dialog to occur. Just to be clear. I support many of the efforts proposed. I just don’t agree with how they were put forward nor the lack of intelligent conversation that went along with it. According to you, Matt Holt is not an independent thinker and that he (and the audience) suffer from “mass hysteria, impulse driven, crowd type tendencies”. You certainly don’t have a high regard for the public (or at least those in attendance at the BOS meeting). Everyone should should be permitted (and encouraged) to voice their opinion at public township meetings and that is exactly what happened. “Mass hysteria” it was not! I agree that the original resolution was nothing but show-boating. I also agree that it was feel-good and little difference. Thirdly, I agree that the folks on both sides of the debate need to be concentrating their time and energies on Harrisburg or DC who can actually pass the laws to make changes in this area. I hope that the supervisors go back to focusing on local issues that they were elected to handle. There are still many issues that need to be addressed at the local level. I whole heartedly agree the Supervisors, Police, EMT and Fire Companies need to quickly make schools safer. Resolutions are good to help lobby for legislation but working with local police and/or security officers is BETTER! School Board and Supervisors please put into place an emergency strategy to keep schools safe TODAY. Please work with trained officers and security guards to prevent a shooting in our schools now. There have been heroin busts across from Hillside as well as other crimes near our schools. Maybe close up the three sided fencing? Please be practical and take this opportunity! Do something now and resolve to legislate at the same time! You can not replace a child. Would sirens, better video or panic buttons have stopped the shooter in FL? Would they have stopped the shooter at Sandy Hook? The answer is NO. Ban assault rifles. It won’t stop people from wanting to do harm but it WILL stop mass death and destruction. While I believe that we need stronger gun control policies than we have now. I also believe that the public does not do a good job in evaluating risk in terms of what is likely to put themselves or their family members at risk. If you still believe that gun violence in schools is the biggest risk factor for the students, I suggest that you research what the actual largest risk factors are to students. It is not gun violence. I am not advocating that it is not a problem nor that it should be ignored. As I stated before, I believe that it is right and proper to bring this to the level of government that can actually address this issue – the state and national level. I do not believe in vacuous and meaningless resolutions. TESD stops talking and gets together a proposal for physically hardening all our district schools. Whilst drills, training and counselling have their place in the mix … I mean single entry point, turnstiles, card entry, security scanners, cameras, toughened glass, perimeter fence … all the stuff we routinely rely on in any 21st century office building … Layout the proposal and put it to a referendum locally as a ONE-OFF tax surcharge across the tax base … and let’s get it done. Let TESD be known for having the safest schools in the state as well as the best! As an update — after discussion and many comments from audience members, the resolution supporting common sense gun control legislation passed unanimously 7-0. Thank you Tredyffrin supervisors for listening to the community! Patty, Can you tell us what the actual resolution said? Click here for the township’s draft resolution. There was a bit of tweaking to the resolution but for the most part, the draft is the approved resolution. So after looking at this, I’m not sure what your issue is. The BOS supervisors took some time to address a timely topic, did they take too much time? Or you just don’t like Mr Holt’s path to it. Because it certainly seems you agree with what he was asking. RL3life – I am objecting to two things. The first is how Mr. Holt handled it. The second is the fact that the resolution doesn’t really accomplish much as the township is not where gun laws are passed. A more effective path would be to approach the state and national legislators that represent us. I am concerned that if we keep bringing up national issues for which the board of supervisors do not have legislative authority over, we are sucking the oxygen out of the room for things that they actually control that we need to fix for our township. In that respect, I am glad that it passed so that we can move on to actual local issues for our board of supervisors. Keeping assault weapons off the street is a moral issue, not a diversion away from gun control. The 17 year old Maryland shooter today used a hand gun and the only person killed was him, by a resource officer who got to the scene in less than a minute and was able to stop the carnage because he wasn’t fired upon by an assault rifle. Hand guns, hunting rifles and knives do way less damage and are way easier to defend against than assault rifles. The disgruntled female shooter on the campus of YouTube yesterday used a hand gun to injure 3 people before turning the gun on herself. She was the only casualty. The police were there in 2 to 3 minutes. The same amount of time the FL shooter killed or wounded at least 34, and this number does not include the emotional and psychological suffering that will last years. Banning assault rifles will not stop people from wanting to do harm, but it will limit the death, destruction and devastation. 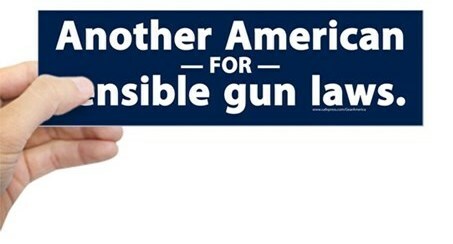 I couldn’t agree more — focus on banning assault weapons. Police spoke with the YouTube shooter 11 hours before the attack. She was calm and cooperative. She mentioned nothing about her anger, resentment or plans for retaliation against YouTube employees. Family members called police to report her missing and to tell them about her anger towards YouTube. They talked to her and after 20 minutes had no reason to detain her. This is not about “whistle drills, card entry’s, training, etc.”. It’s not about throwing more money at it in terms of hiring more Dr.’s, teachers, counselors and security. And it sure won’t help to form another panel and talk about it some more. This is about limiting death destruction and devastation by banning asssult rifles now.